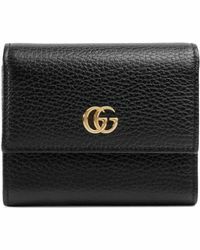 Even though a wallet stays mainly hidden from the public, it's still an accessory that is an extension of who you are. 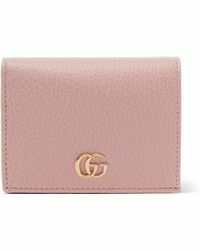 Gucci understands this and recognises that minding the details down to the smallest accessory will surely go noticed. 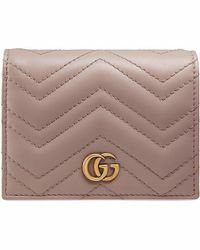 The luxury Italian brand pays careful consideration when it creates its lavish accessories. 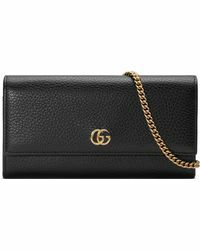 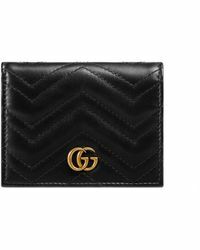 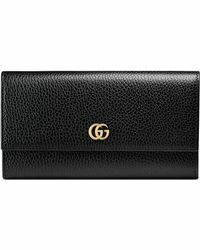 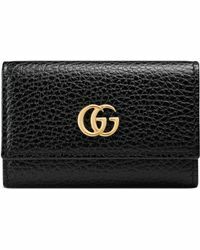 Gucci wallets in simplistic black leather bi-folds and tri-folds are available for men, while women have spacious zip-up pouches prominently showcasing the brand's recognisable double G logo. 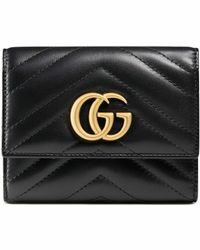 Team yours with one of the brand's iconic totes for the ultimate in Italian glamour.